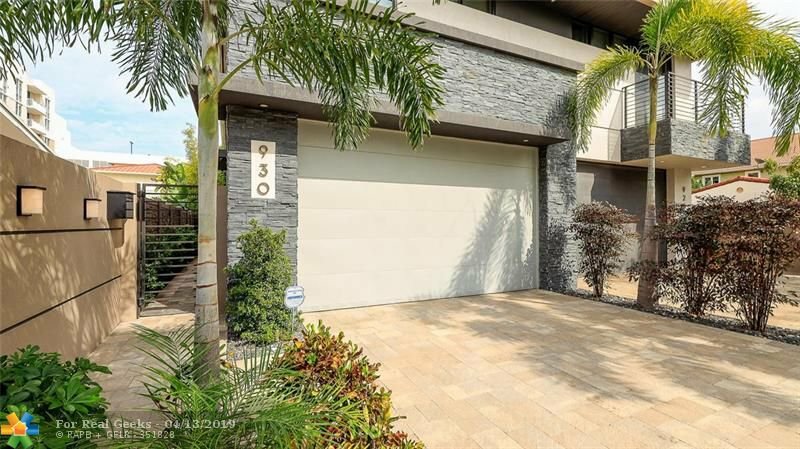 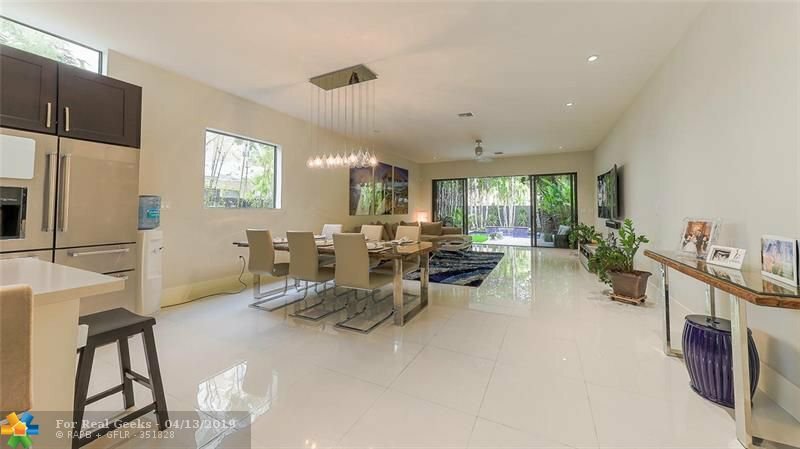 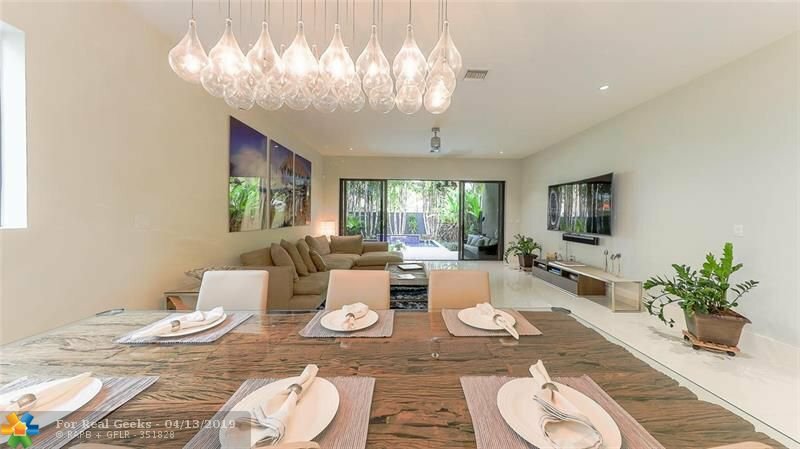 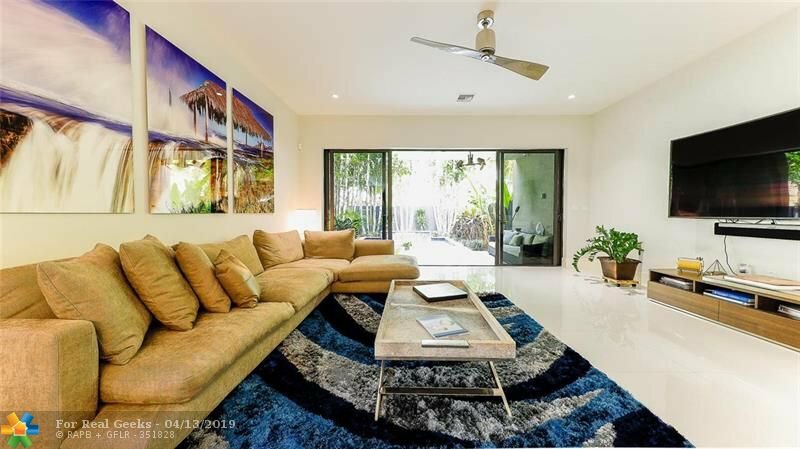 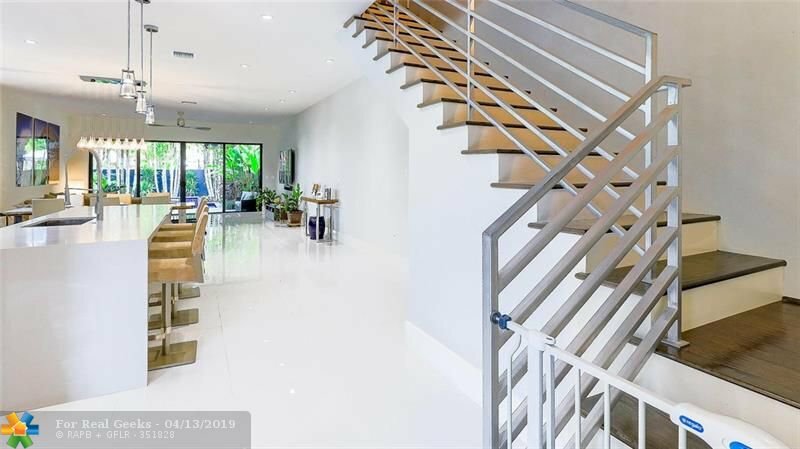 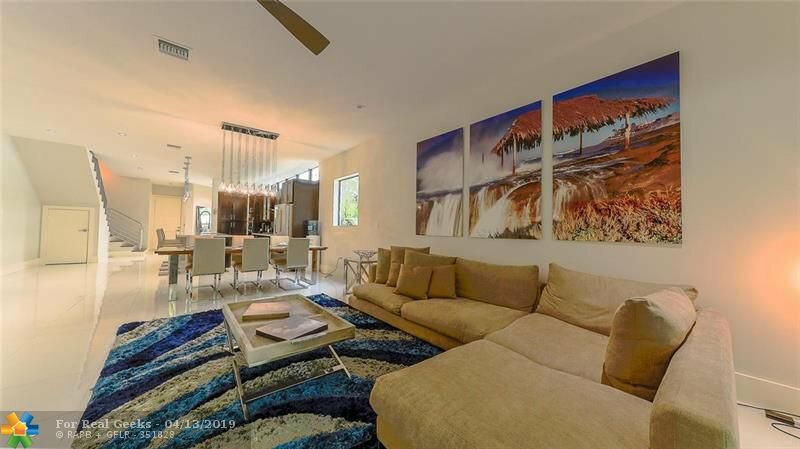 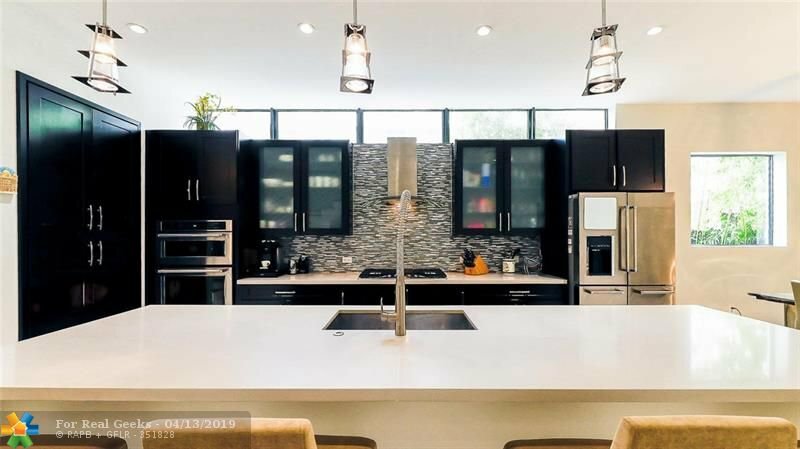 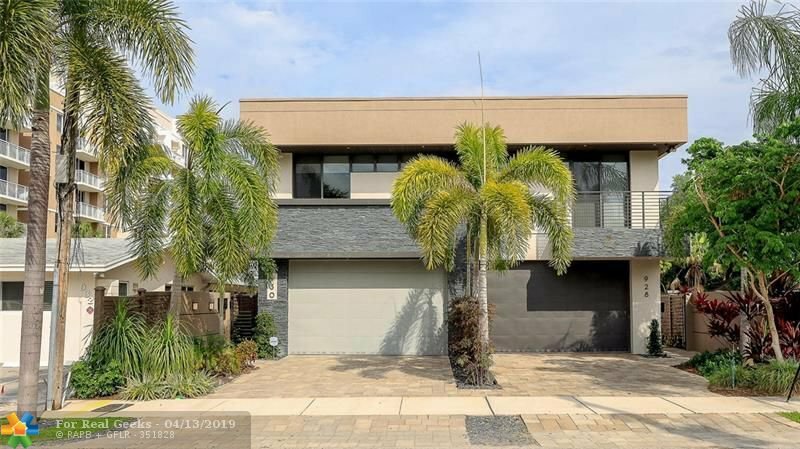 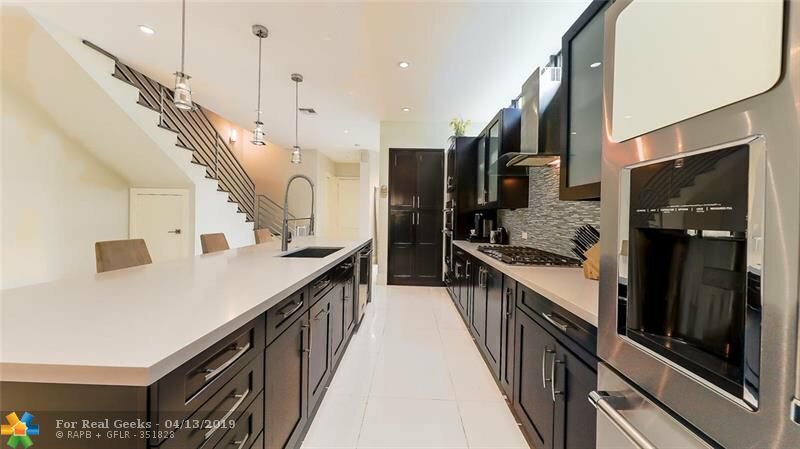 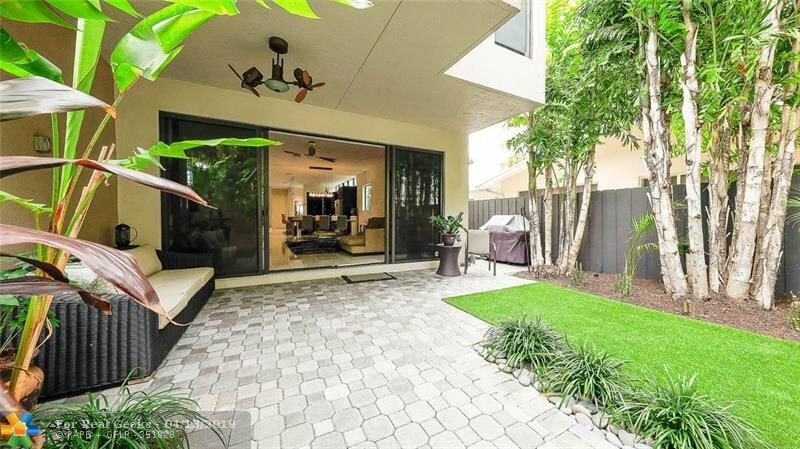 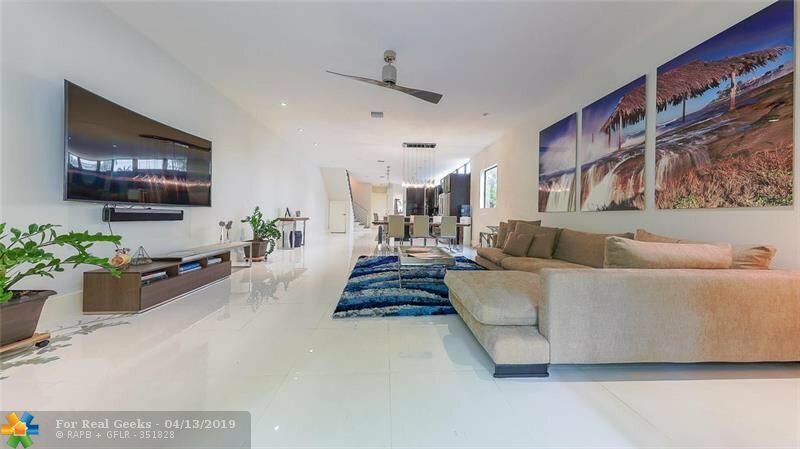 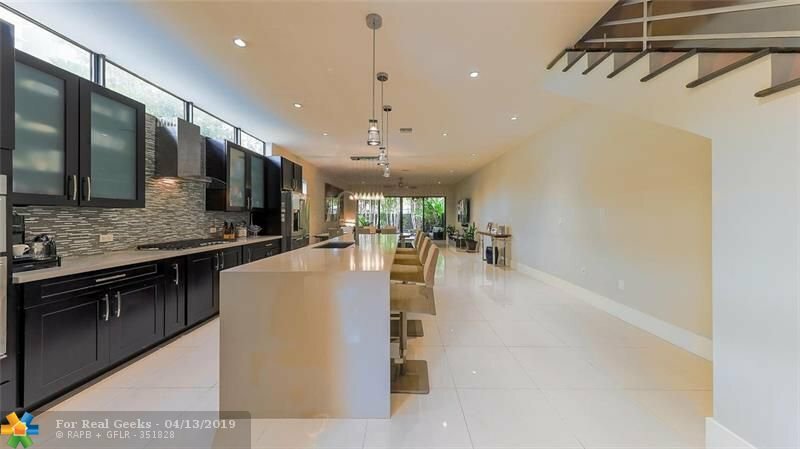 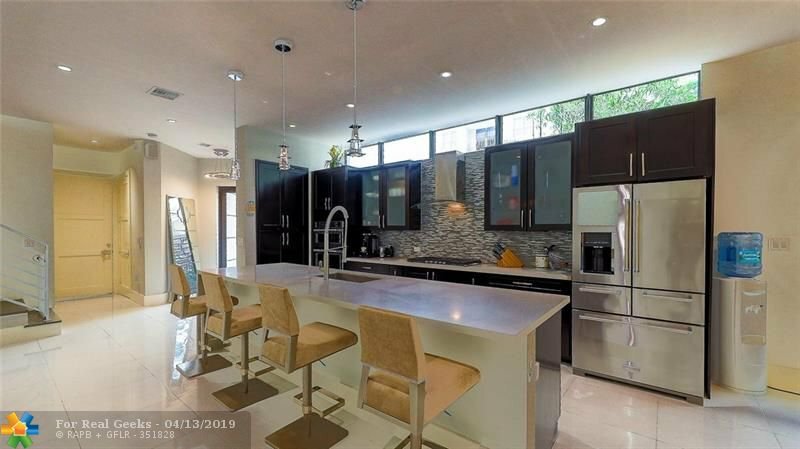 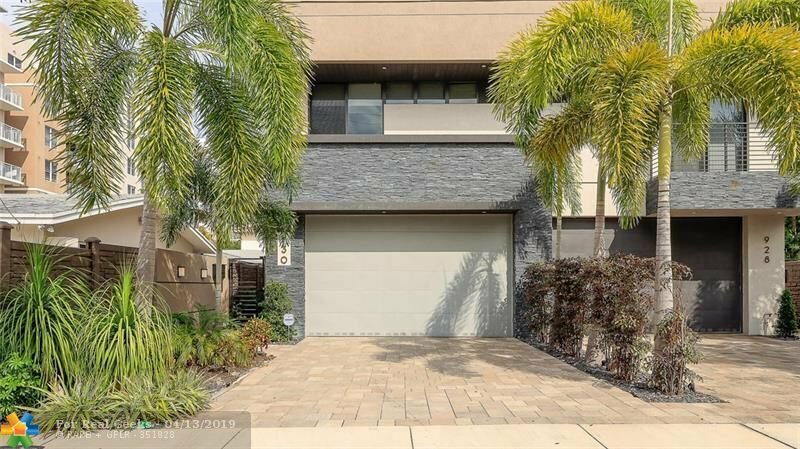 THIS SPECTACULAR 3/3.5 TOWN HOME WITH POOL AND UPSTAIRS LOFT/OFFICE, BOASTS 2800 SQ.FEET UNDER AIR WITH THE FOLLOWING; FORMAL ENTRY, A HUGE GREAT ROOM AND A CHEF'S KITCHEN WHICH INCLUDES DOUBLE OVENS, GAS COOKING, CEASARSTONE COUNTER TOPS, DINING AREA AND MASSIVE LIVING ROOM. 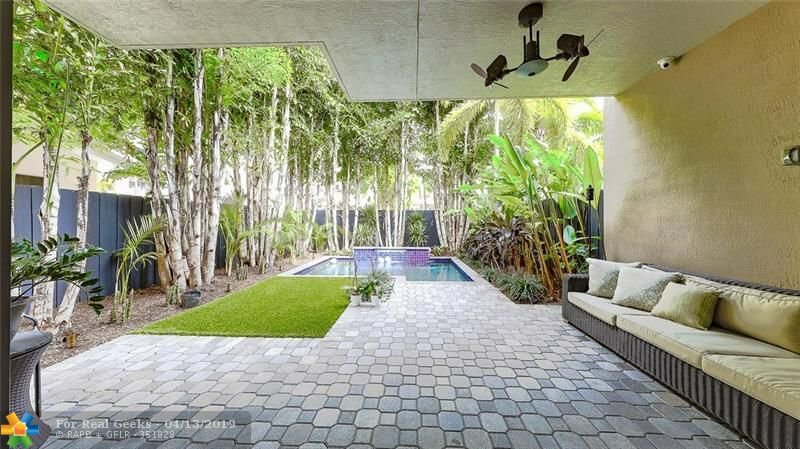 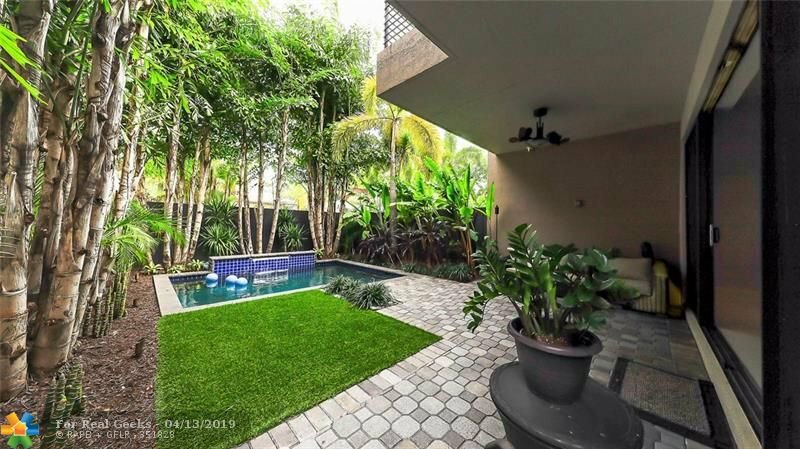 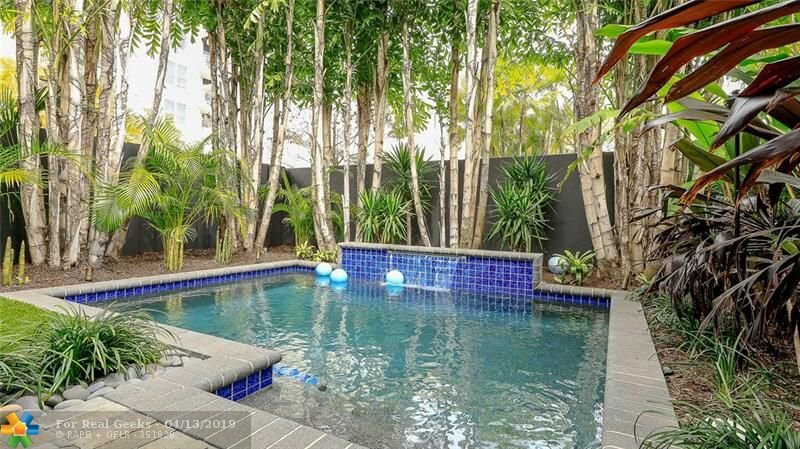 ALL THIS MOVES SEAMLESSLY TO THE LUSH TROPICAL BACKYARD WITH POOL. 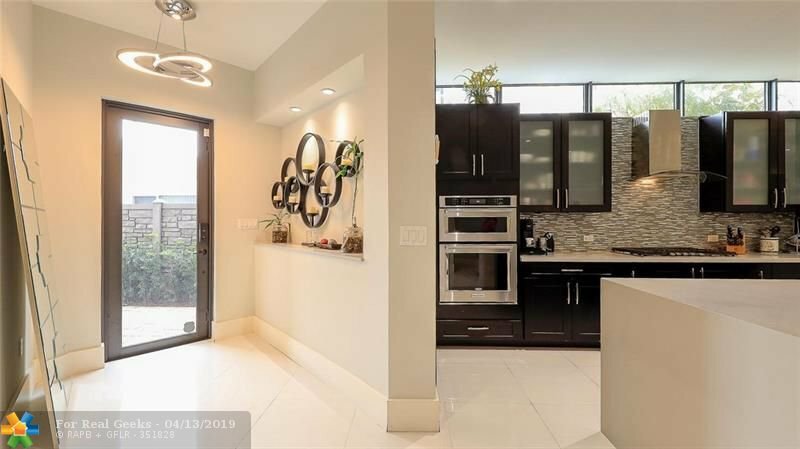 THE CEILING HEIGHT IS 10 FEET THROUGHOUT WITH 8 FOOT DOORS. 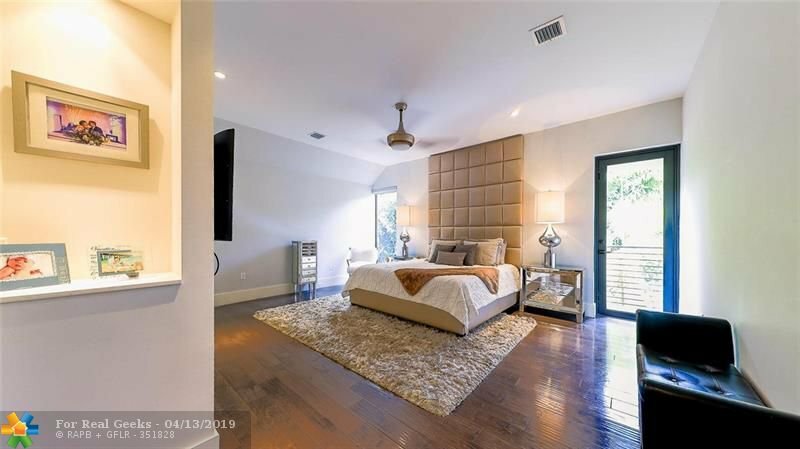 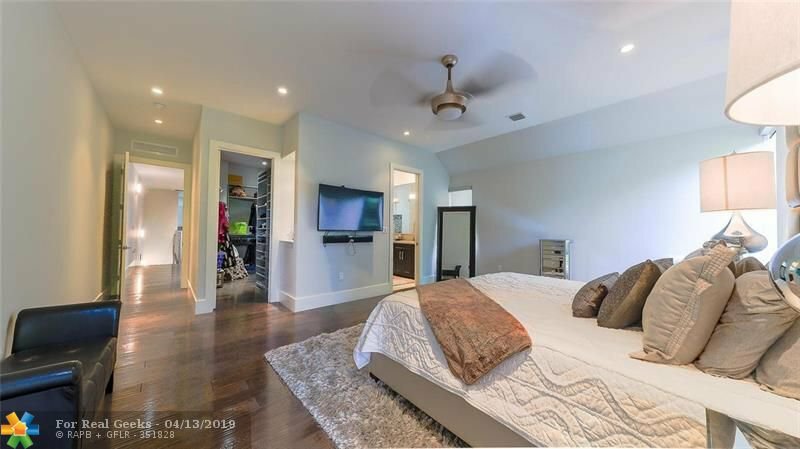 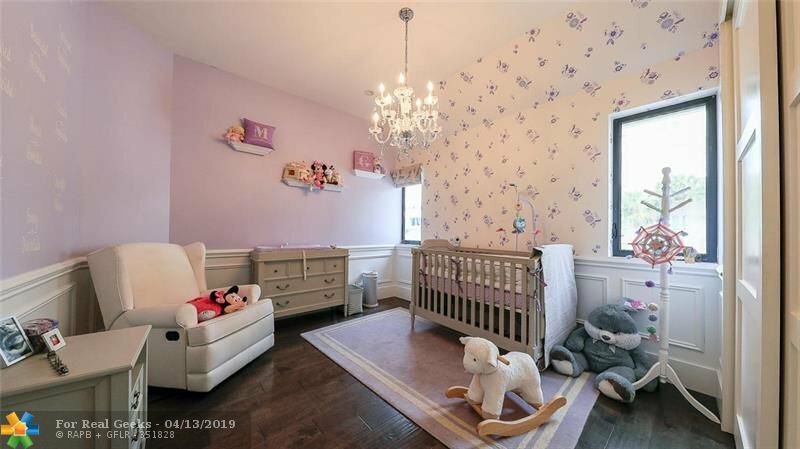 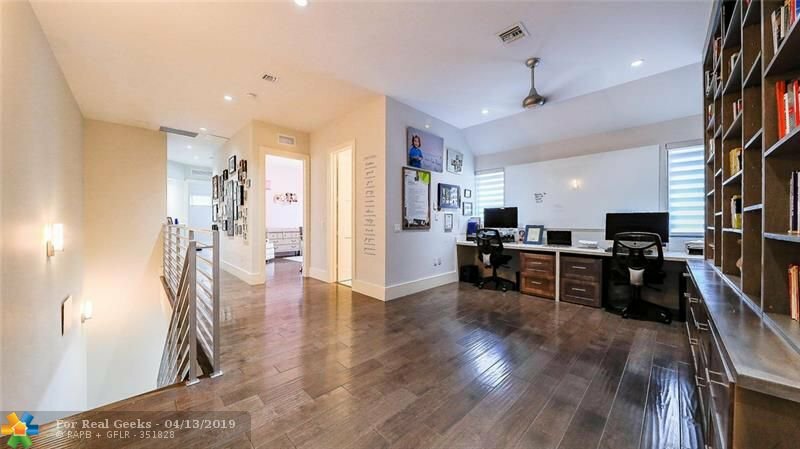 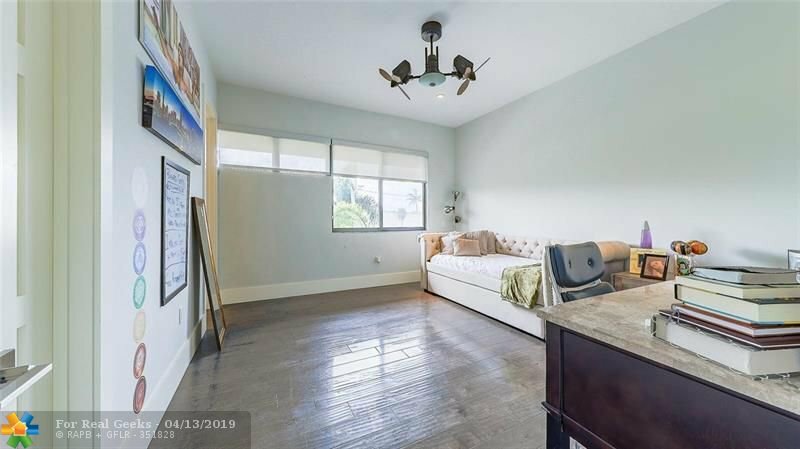 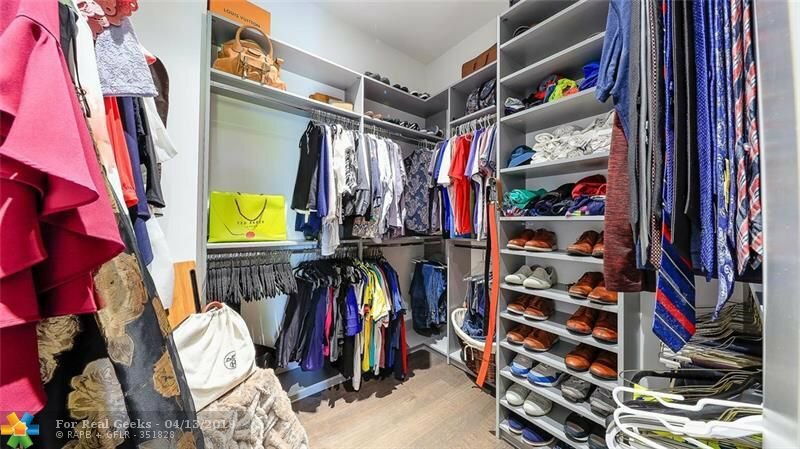 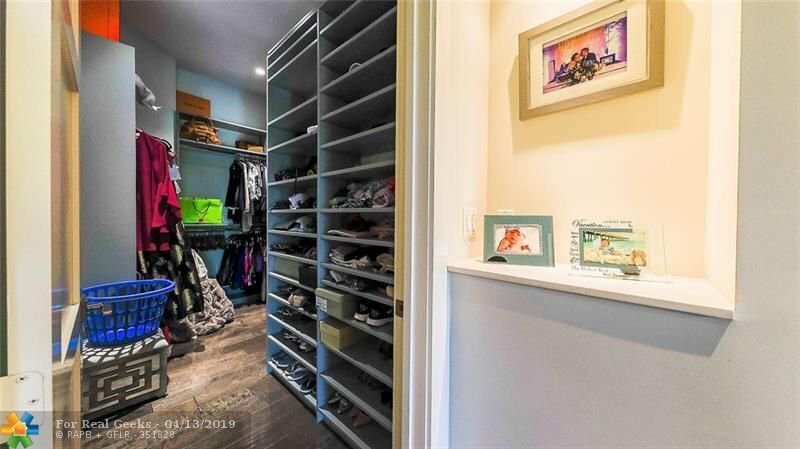 AS YOU MOVE UPSTAIRS YOU HAVE A MAGNIFICENT OFFICE AREA/LOFT AND A VERY PRIVATE MASTER SUITE WITH CUSTOM DESIGNED CLOSETS AND LUXURIOUS EN SUITE BATH. 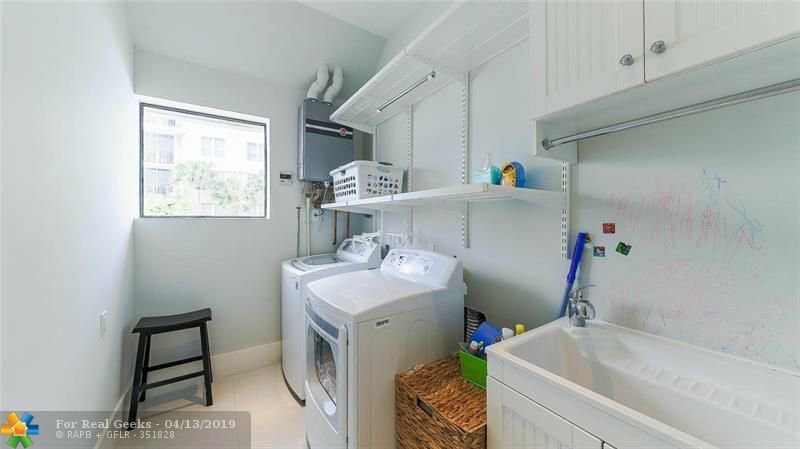 UPSTAIRS YOU HAVE A FULL LAUNDRY ROOM WITH SINK AND TWO SPACIOUS BEDROOMS, ONE BEING EN SUITE. 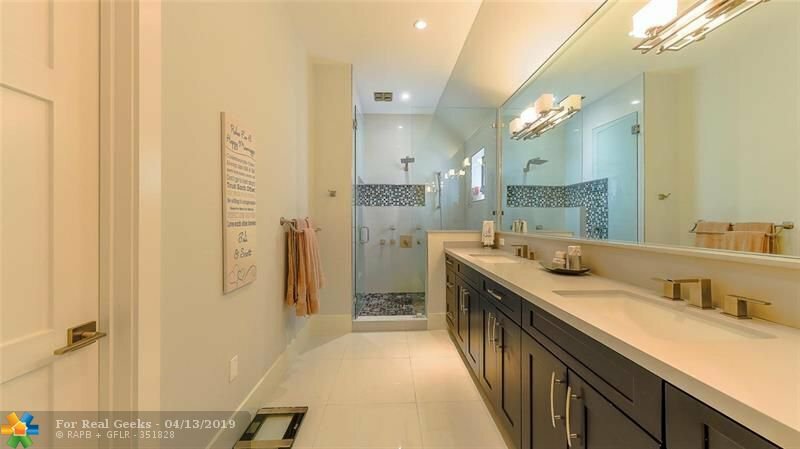 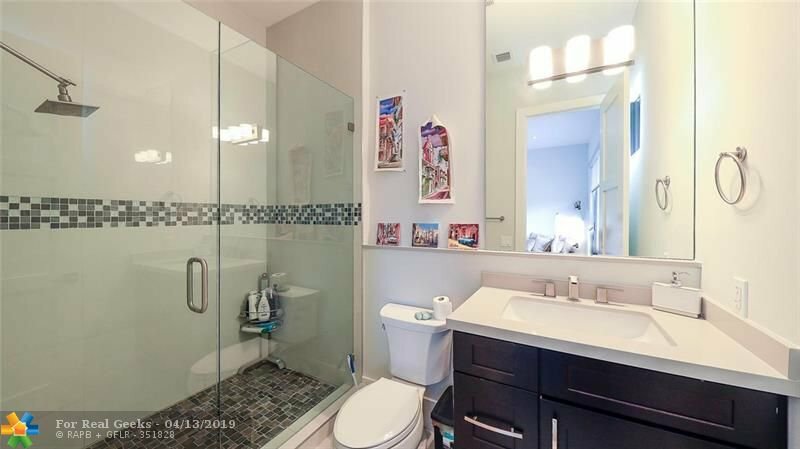 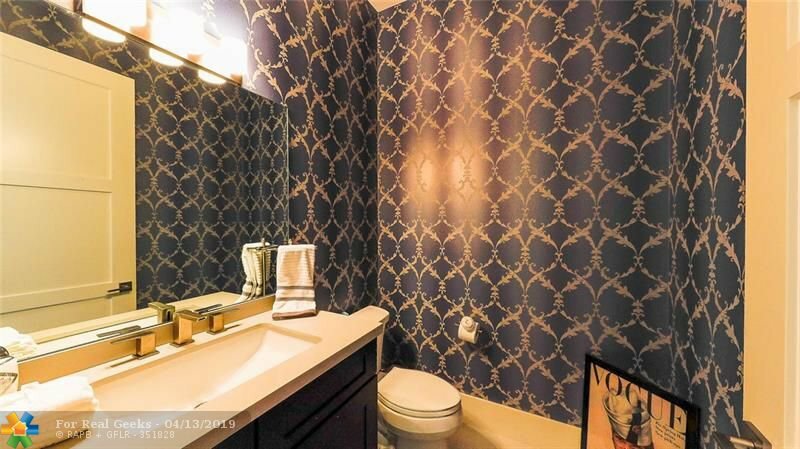 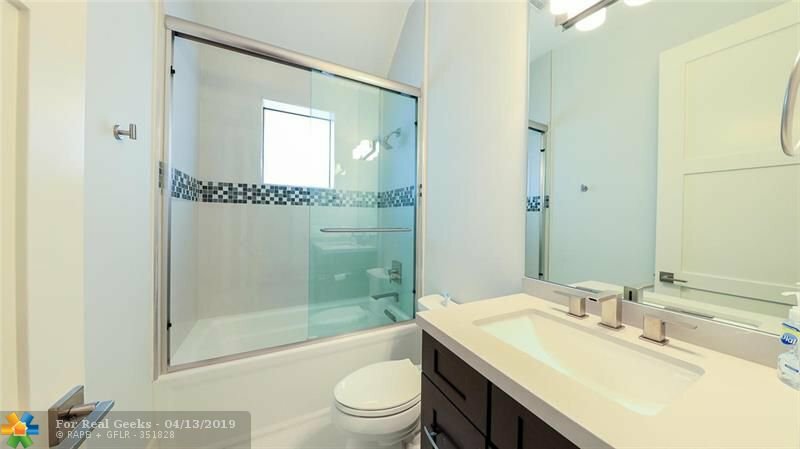 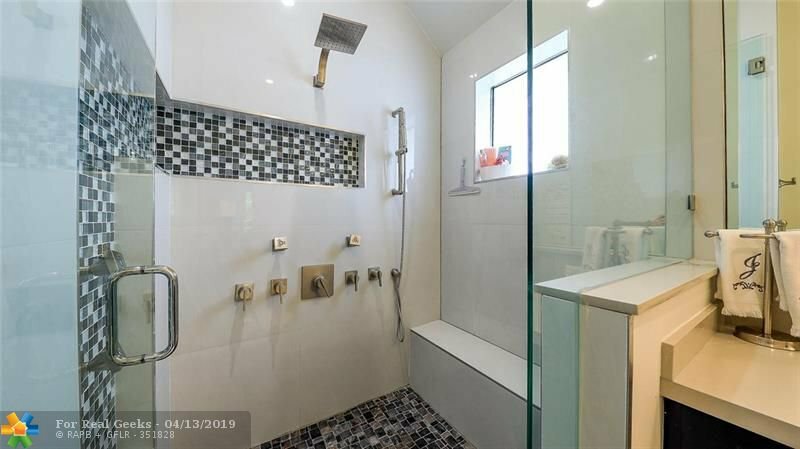 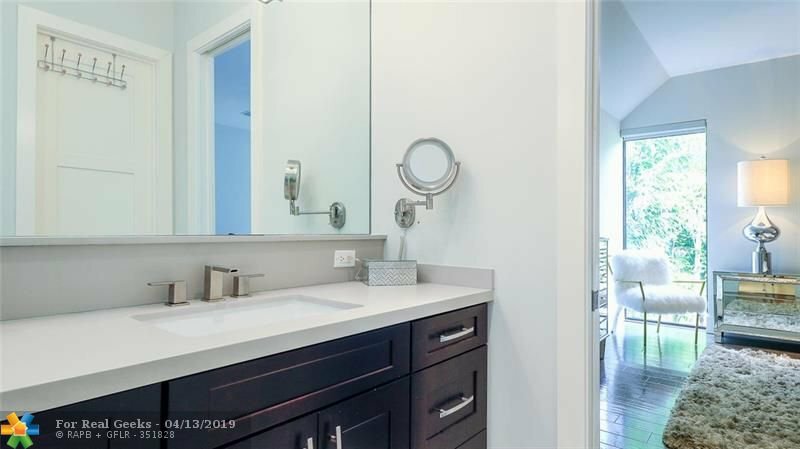 ATTENTION TO DETAIL IN THIS NEWER BUILT LUXURY TOWN HOME. 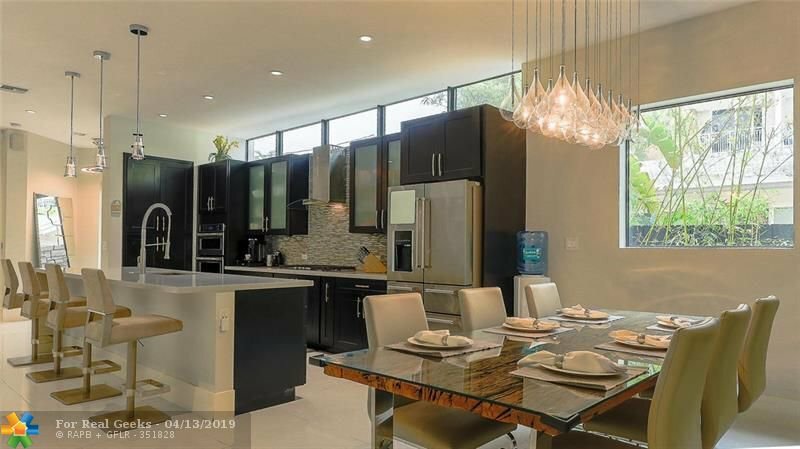 EXCELLENT LOCATION, MINUTES TO FEDERAL HIGHWAY, THE GALLERIA AND THE BEACH.